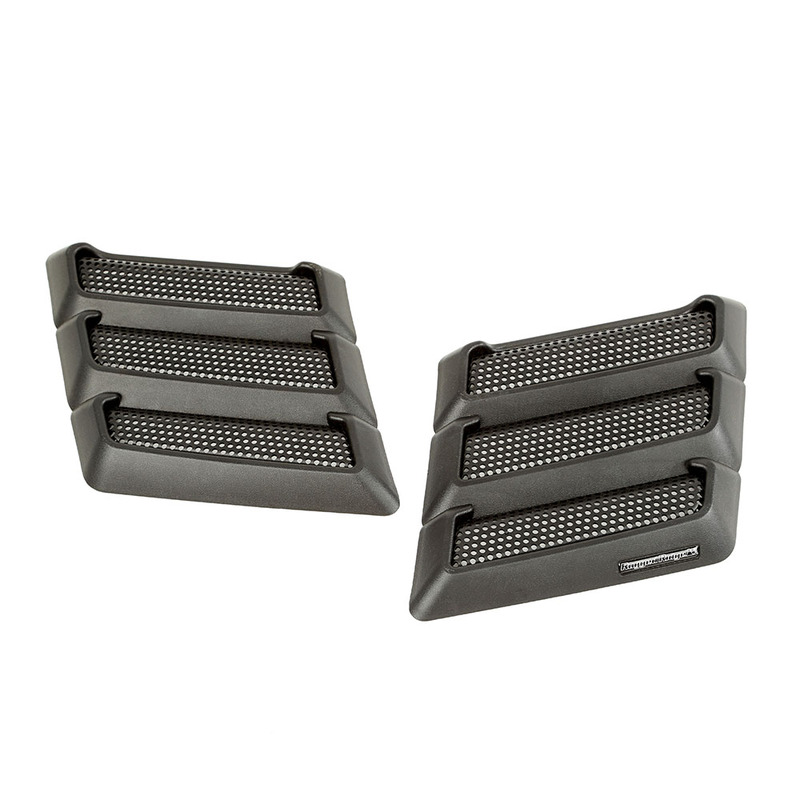 Performance Hood Vents from Rugged Ridge. 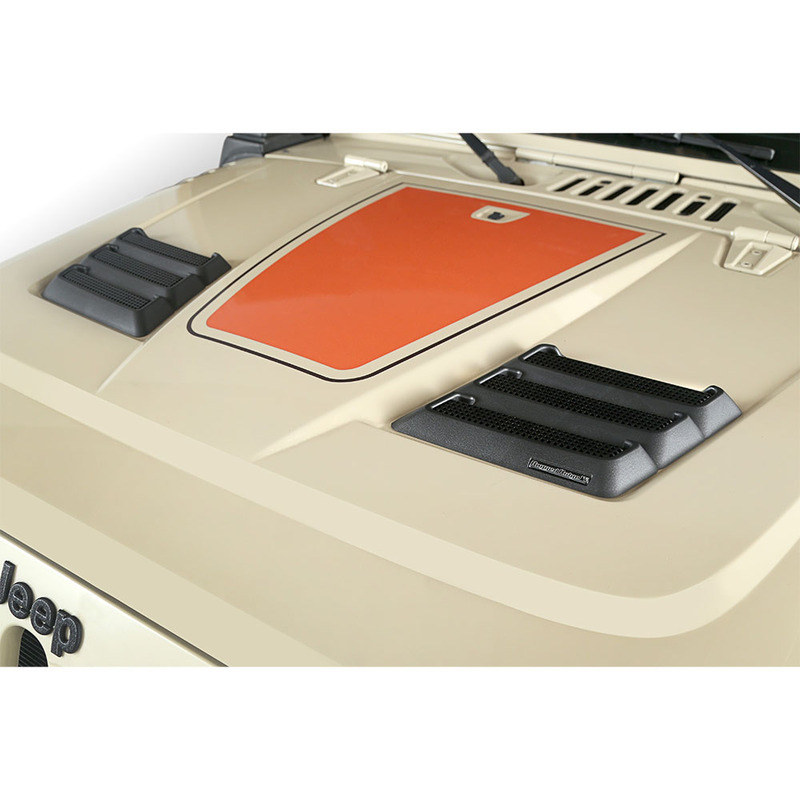 Factory hoods on 1997-18 Jeep Wranglers. 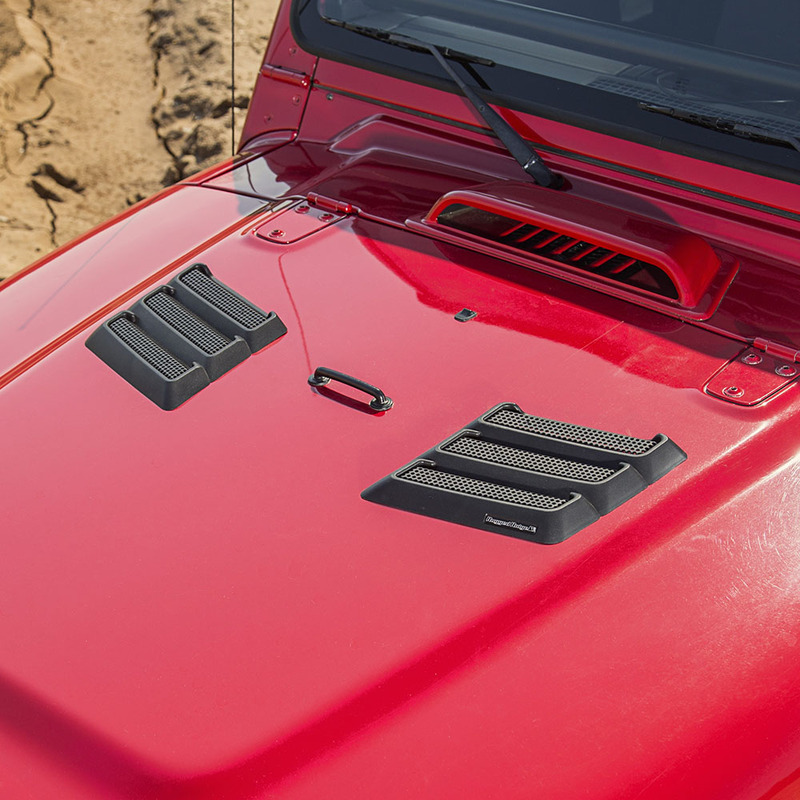 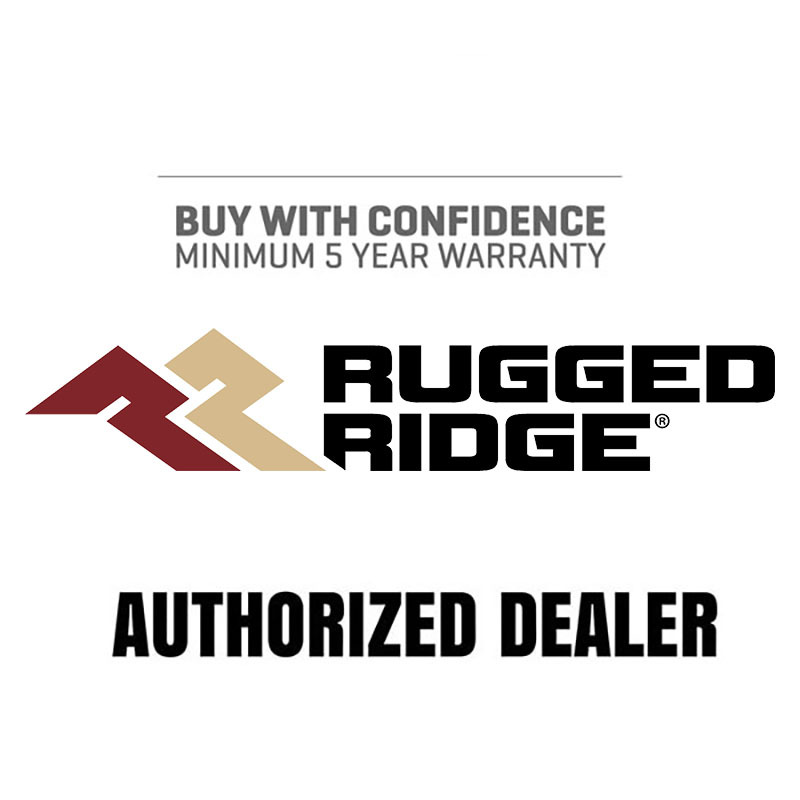 These black plastic Rugged Ridge Performance Vented Hood Inserts are the perfect add on accessory, offering an aggressive style for your vented hood. 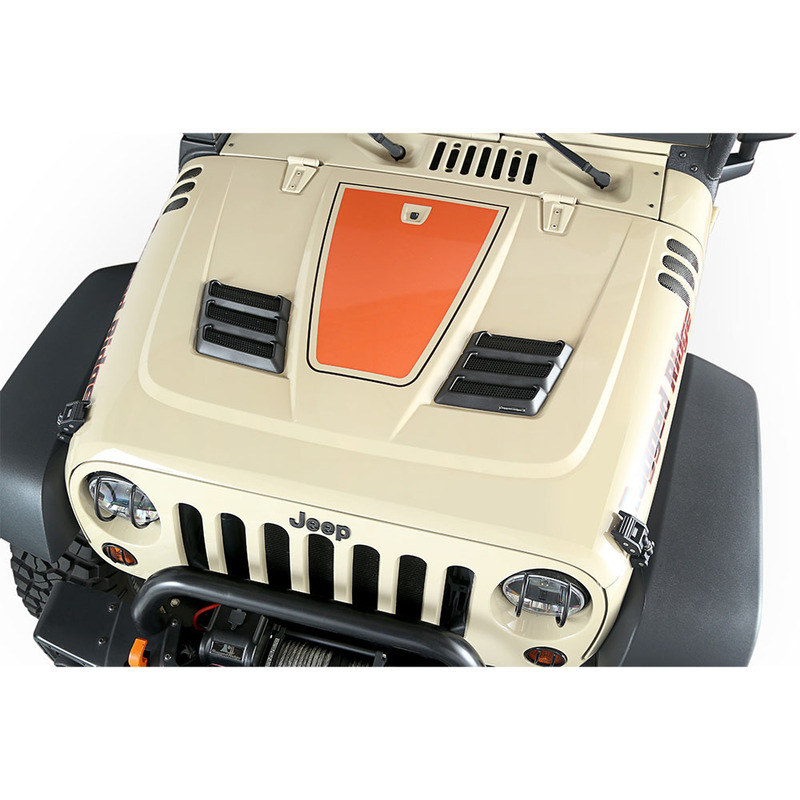 Injection molded for a precise fit, these inserts promote Proper airflow into your engine compartment and mount directly to the Performance Vented Hood (17759.01).